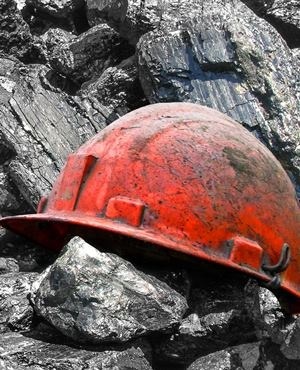 South Africa’s largest coal producer, Exxaro Resources, this week announced the establishment of its R3.3 billion Belfast Implementation Project (BIP) in Mpumalanga during a sod-turning event. BIP’s construction value is R1.179 billion and it is expected to produce 2.7 million tons of coal per annum at full production. Included in the budget is R293 million to be spent on local communities. The 7 198 hectare new mine will produce thermal coal starting from 2020, after its construction has been completed. The mine is expected to stay in business for 17 years. Exxaro has already been operating another mine in Belfast, the North Block Complex (NBC), which produces 3.5 million tons of coal per year. In May, Belfast community members threatened NBC’s employees with violence over protests about haulage tenders to transport coal to Eskom’s power station, which were not awarded to local companies. This confrontation was sparked after a contract that had been entered into by Eskom and Exxaro in April 2010 expired in December last year. In that contract, the transportation was split into 70% Eskom-contracted transporters and 30% Exxaro NBC-contracted transporters. When the contract expired, the parties entered into a six-month short-term contract, of which 100% of the coal transportation was to be executed by Eskom. The short-term contract angered the locals because they were excluded. This confrontation led to NBC piling the stock it had been mining, as community members would not allow the Eskom trucks to operate. Lazarus Ramashilabele, business manager for NBC and BIP, said Exxaro was continuing to stockpile coal at NBC. Ramashilabele said Exxaro was in regular contact with Eskom. Regarding the new mine, he said that community structures were being engaged with to avoid a recurrence of the NBC situation. “Regarding BIP, Exxaro has a BIP stakeholder engagement forum which has representatives from different community structures and which meets regularly to deal with any issues that arise,” Ramashilabele said. The new mine will create 6 000 direct and indirect jobs during construction and its lifespan, to the benefit of almost 20 000 people. BIP is expected to contribute R39 billion to the national GDP, while Nkangala District Municipality’s GDP will gain as much as R2.1 billion per annum. The project will have a digital replica that will allow management and the contract companies to connect and manage it from anywhere. Do confrontations like the one at NBC threaten the economy?